Franz Kafka, Martha Graham, Michelangelo's David, Marian Anderson, and Bertrand Russell all play a role in this novella. 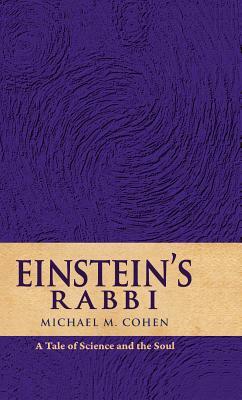 Einstein's Rabbi: A Tale of Science and the Soul tells the story of a young man's search for transcendant meaning in his life. His guide is Rabbi Asher Ternfka, Einstein's rabbi. In a series of wonderfully crafted conversations, all based on actual quotations of Albert Einstein, the rabbi shares his experiences with Einstein's life and thoughts, and those glowing dialogues become a mirror for Joseph's own spiritual journey. The book is rich with insight on the human condition and a compelling model for all spiritual searchers no matter what their religious orientation.